My friend Matt (Rounding30) was recently diagnosed with Hodgkins lymphoma. As far as cancer goes, this is by far the “best kind of cancer” one could have. He has been assured by doctors and survivors that Hodgkins is curable. He is in excellent health with no real symptoms (other than a big lump on his neck). Still in the early stages, Matt has none the less reached out to friends far and wide asking for their prayers. Matt specifically asked all of his friends to pray this nine day novena to St. 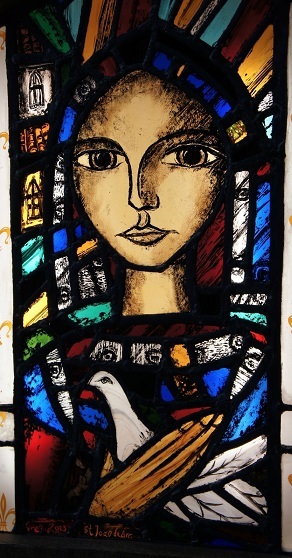 Peregrine, the patron saint of cancer patients. Today is Day 9 that I’ve been praying for Matt. What’s a novena? Basically, a novena is a series of prayers, usually recited for a prescribed number of days (typically 9) where we ask the saints – our great cloud of witnesses, those whom we know to be with God in heaven – to plead our cause on our behalf. We ask the saints to pray with us and for us. I used to be really suspicious of novenas. To be honest, I still AM a little suspicious of novenas. They seem a little too “hocus pocus” for me. All too often I’ve seen novenas that are akin to email chain letters promising all your dreams come true if just you read these saccharine sweet words aloud and then forward them to exactly seven of your friends including the person who sent this to you. Prayer always begins and ends with our relationship with God. The purpose of prayer is not to change God’s mind. Rather, we place ourselves before God in prayer in order that God can transform our hearts and draw us closer to Him. After all, God already knows what is best for us. God is God, and we are not. For the last three weeks, Matt has gone public with his fears (and sighs of relief) over complicated medical procedures. 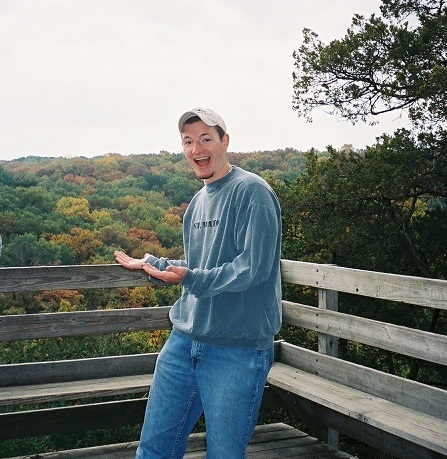 An accomplished journalist and natural story teller, his regular blog updates are not only a great way to keep friends informed, but perhaps a bit of therapy at the end of the day as well. He’s been incredibly forthcoming about the strength he finds in knowing that hundreds of people are lifting him up in prayer. Honestly, Matt’s testimony could make even the greatest skeptic a firm believer in the power of prayer! In some ways, asking the saints to pray for us is no different than putting a shout out via our favorite social media channel and receiving a rousing affirmation and promise of prayers from our friends. Who doesn’t need a little help from their friends every once in a while? Especially if that friend is also close friends with God! Many of you know that I’ve been traveling to Nicaragua for over twelve years to volunteer with the Fabretto Children’s Foundation. Before our very first campus ministry trip in 2006, I prayed this novena to St. Therese of Lisiuex. 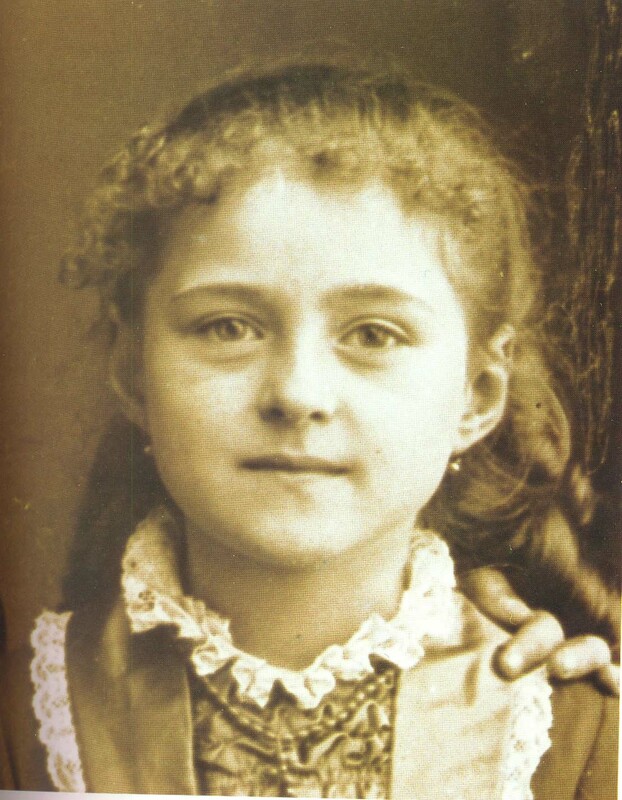 Many people have reported receiving roses upon completion of a novena to St. Therese. I was wary about the flowers and told myself that I was only asking Therese’s assistance for the sake of our mission. I did not tell anyone about this, and on the last day of the novena, I happened to attend a luncheon. Afterwards, someone stopped me and gave me one of the table centerpieces (filled with roses!) and said, “I thought you might like to have this.” All these years later, those Nicaragua trips are still going strong, and that was not the first time St. Therese sent me flowers! St. Francis Xavier is another great patron saint of missionaries. St. Francis Xavier was a Jesuit priest and one of the first followers of St. Ignatius of Loyola. He was first sent as a missionary to India and later ministered to the people of Southeast Asia and Japan. His right arm (the hand he used to bless and baptize converts) is preserved at Il Gesu Church in Rome, which I visited this past summer. My fondness for praying with St. Francis Xavier was completely accidental yet quite providential! Several years ago, we had to cancel our Nicaragua mission trip due to a conflict of dates. At the same time, we were struggling to work out the details of a potential trip to Haiti instead. During my summer retreat, I stumbled upon this novena to St. Francis Xavier. Shortly after returning from retreat, some important logistical details began to fall into place. 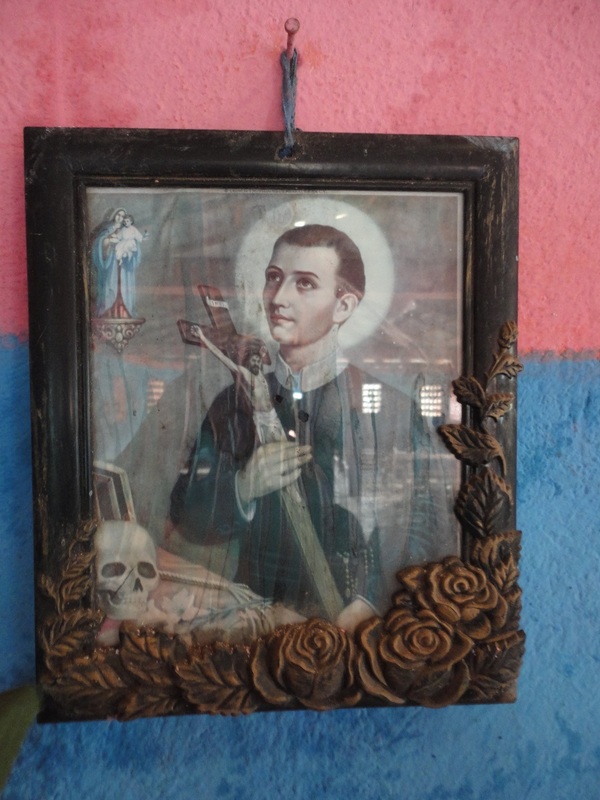 Not only did we send mission groups to both Nicaragua AND Haiti that year, but the village where we stayed in Haiti had a church named St. Francis Xavier. Coincidence? I think not! I had never met this woman before, and she had no idea of the personal situation in my life that was already unfolding. I’d been anxious about some things at work, and I was uncertain about where to turn. I shared very little of my story with her, but she did not hesitate to share her novena stories with me! She warned me that the graces of this novena are quite unimaginable. From her own experience, it was clear that God had answered her prayers in some utterly surprising ways. God often gives us gifts we think we don’t need, yet she assured me, these are the kind of graces you will receive from this novena! In the midst of this novena, I learned that my position at work was being eliminated. After the immediate shock wore off, the peace I experienced was almost exponential! I haven’t shared this with many people, because it still seems absurd to me that someone could lose their job (a job that I loved dearly!) and experience this kind of consolation. Six months later, I’m still searching for full-time employment. I’m also taking Spanish classes, doing some freelance writing, and considering a long-term volunteer project with our Nicaragua partners. And I continue to experience a peace and a freedom that is beyond my understanding! “Who gets a cancer diagnosis and spends the day feeling grateful? Not unlike the affirmation I experienced after praying with St. Therese or St. Francis or the Blessed Mother – it’s called grace my friend! It is nothing less than God’s unabashed love for you – reminding you that you’re exactly where you are meant to be. We aren’t always able to see God working in our lives in such obvious ways. What a gift when it’s right there for us to see! Time and time again, I’m reminded that faith is not about easy answers or magical solutions. It is about trusting in the deeper mysteries of God. Finally, while we’re on the subject, one important note…. I’m sure that many (if not all) of us have lost family members and other loved ones to cancer or other horrible diseases. Good and faithful people die of cancer every day, even those whose friends and family never ceased praying for them! God hears all of our prayers, even if God does not answer them in the ways we would want. I have some dear friends who lost their teenage son to cancer several years ago. Near the end of his life, it became clear that a “cure” was highly improbable. Their family and friends continued to rally and pray for a miracle. With great trust in God’s mercy, my friends affirmed what we believe as people of faith – we believe in the resurrection! Death was not the end for Jesus, and it is not the end for us either! My friends knew that long days of sadness and mourning awaited them, but they were never without hope – even in the face of death. I think about my friend Matt and the journey he has undertaken. Thanks to modern medicine, I have no doubt that he will experience a complete CURE to this unfortunate disease. My hope is that his upcoming bout with chemo will be nothing more than a temporary inconvenience, and life can return to “normal” in a few short months. Although, I suspect he will be forever changed by coming face to face with the reality of cancer, and I can already see his life transformed by the tremendous outpouring of love and support from his friends. I know Matt to be a person of deep faith. And I know that God is faithful to all who put their trust in Him. I have no doubt that we will soon be celebrating the life of a young man who is cancer free! And I am confident that God will use this time in Matt’s life to accomplish the miraculous. We always make it a priority to be in Cusmapa for mass on Sunday morning. Part of our commitment to solidarity is to pray with the community that we will serve and get to know throughout the week. Fr. 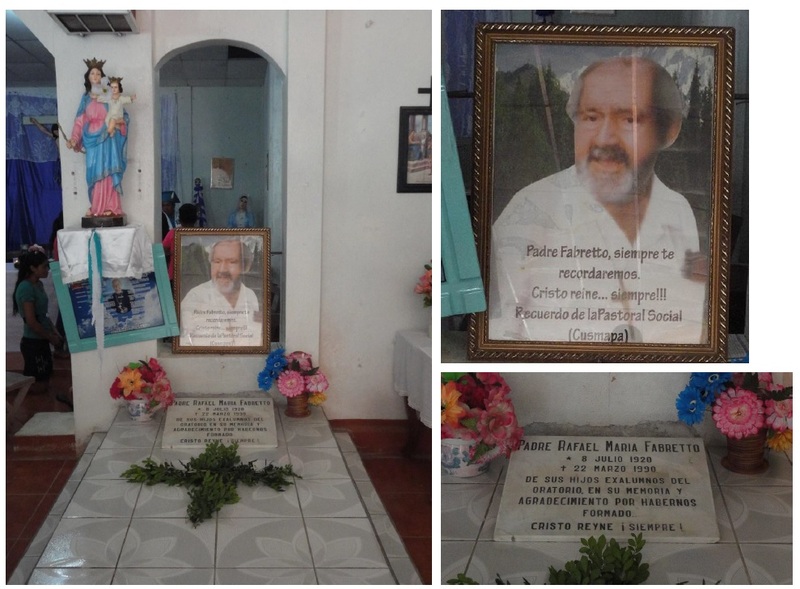 Fabretto is also buried in the church in Cusmapa. We pause at his grave site after mass knowing that our work is a continuation of the great mission he began here. 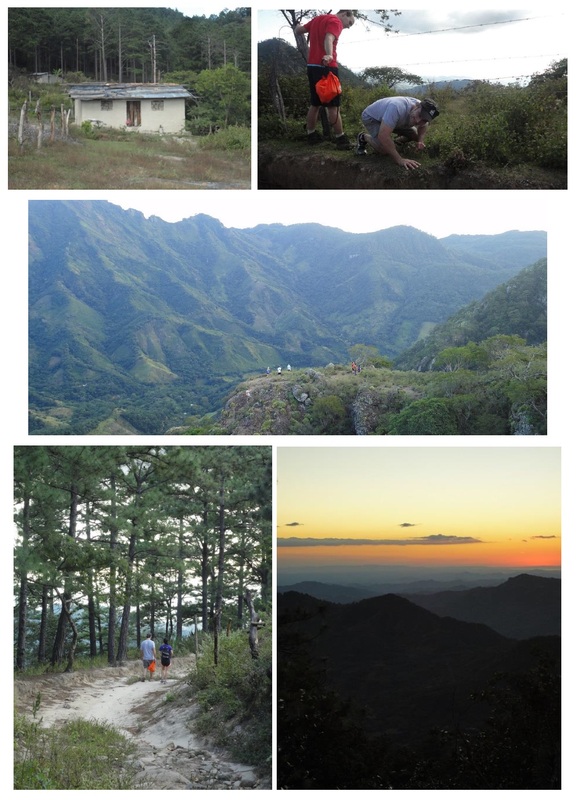 The area around Cusmapa is known for its spectacular mountain vistas and breathtaking views. Hiking through the area took us off the beaten path, under barbed wire fences, and through some pretty rough terrain. It certainly gives you a greater appreciation for the effort it takes for kids to get to school each day! Cesar and I met last year in the English class, and we’ve been keeping in touch ever since. The day we arrived in Cusmapa happened to be Graduation Day for the secondary school! 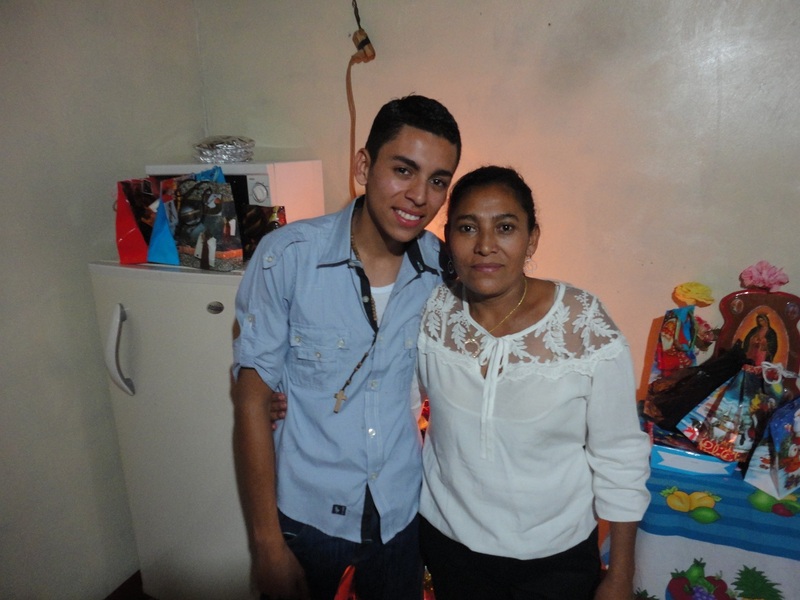 I was honored to attend Cesar’s graduation celebration and meet his family. FINALLY, TIME TO GET TO WORK! This year’s work project was to create a sidewalk connecting the classroom buildings around the oratorio. 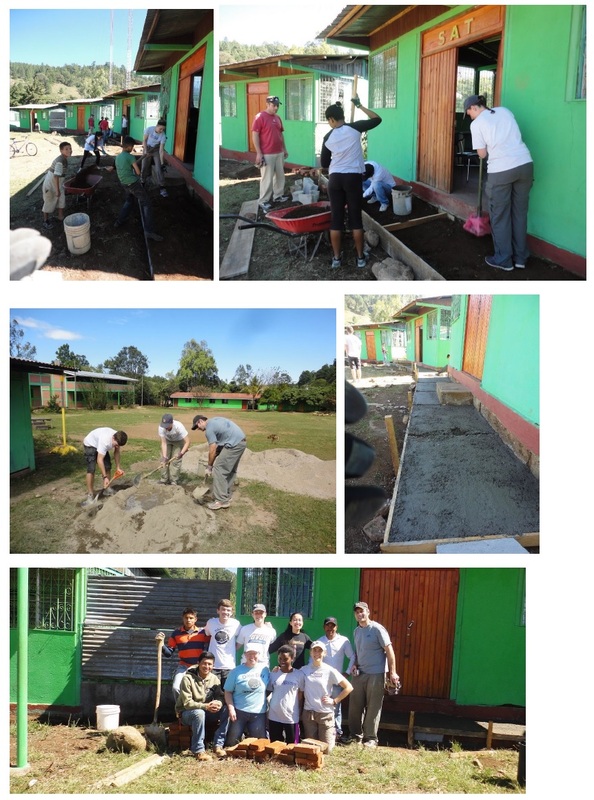 The new walkway will help with accessibility and will keep little feet out of the mud during the rainy season! This project would not have been possible without the hard work and guidance of project engineer Javier and his assistant Felix! Our fundraising efforts cover the necessary cost of supplies and labor. Thanks again to everyone for your support! We spent most of our afternoons with the kids! It is pure joy to see our college students dump a box of Crayola markers and crayons onto an otherwise empty table. Simple classroom staples like pens, pencils, crayons, markers, and art supplies are often in short supply. Outside, the kids teach us their version of popular play-ground games. It doesn’t take much to bring a smile to these faces! 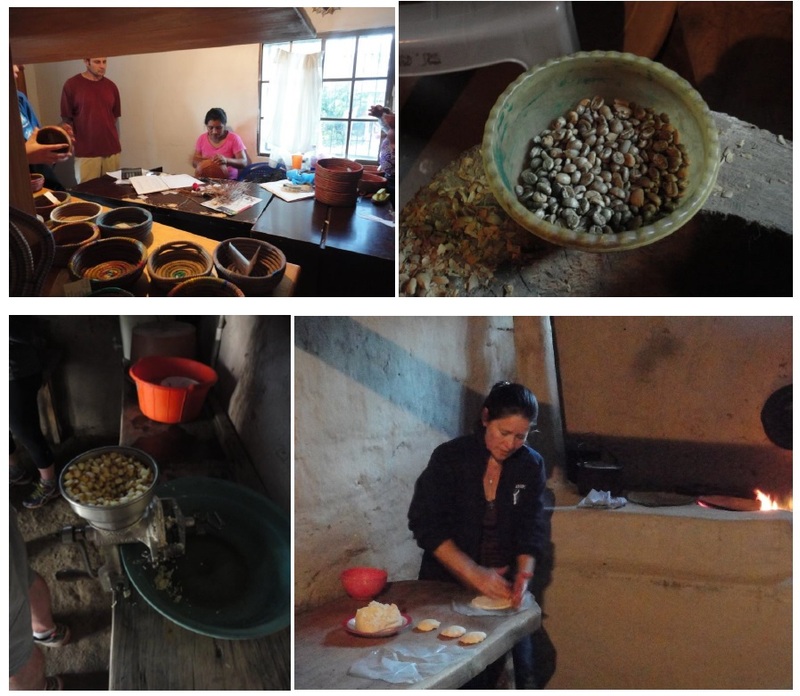 Learning about the local economy is always a highlight of our time in Cusmapa. We take time to visit small businesses where merchants make and sell jewelry, baskets, tortillas, and coffee! 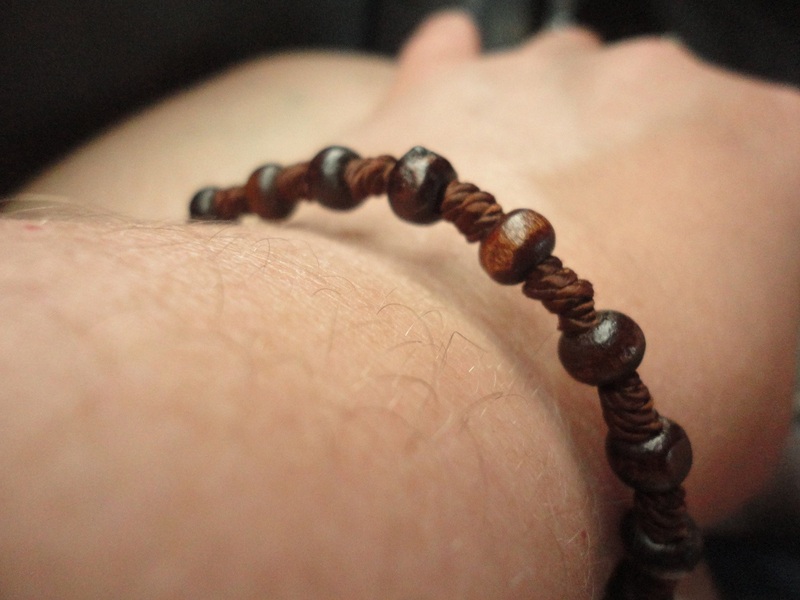 Visit the Fabretto shops online to purchase some for yourself! At the end of our trip, we always take a day to relax and enjoy a different side of Nicaragua. Despite the economic poverty, Nicaragua actually has a growing tourism industry. The old colonial city of Granada is a wonderful place to learn about Nicaraguan history, culture, and ecology. 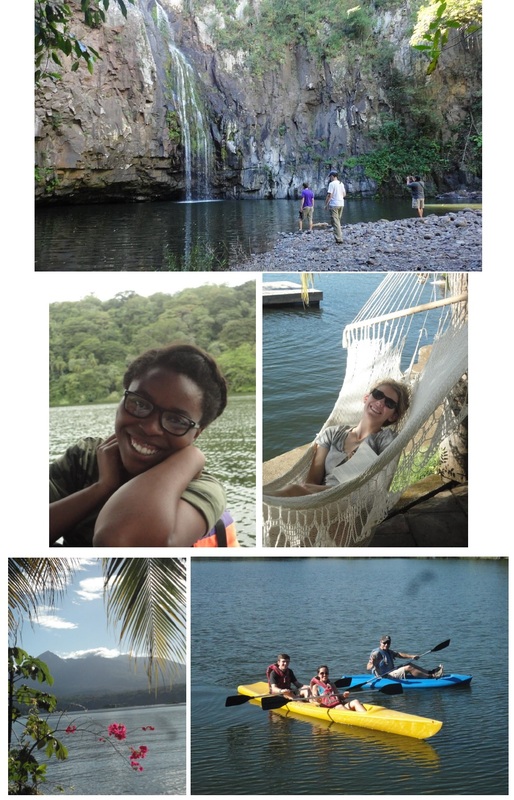 We also spent a day at Lake Nicaragua observing the volcanoes and local wild life. From all of us to all of you …. thank-you! It is a good thing that I did not give up cookies for Lent! Last week was Reading Week at Northwestern University, and the Student Advisory Board at the Sheil Catholic Center enthusiastically hosts “study days”, where we dole out an extra dose of Sheil hospitality. Our volunteers conjure up inordinate amounts of snack food while the staff pours out endless amounts of encouragement onto hard studying students. As a special treat, I decided to mix up a batch of the perfect chocolate cookies! Not long after setting out this tray of sweet treats, I ran into Kelsey – who quickly snagged a cookie and later asked if I had a secret recipe! There is no secret, just a couple of tricks that I learned in the kitchen. Kelsey and I swapped our favorite baking techniques, including this one straight from the cookie recipe, which requires that you remove the cookies from the oven while they’re still a bit under-done and let them sit on the hot cookie sheet for 2-3 minutes before transferring them to a cooling rack. The secret to soft chewy cookies is to not over bake them! Remember, cookies continue to bake, even after removing them from the oven. I must admit, the first batch was a bit crispy for my own taste, but no one else seemed to notice. Three dozen cookies were devoured within a matter of hours! 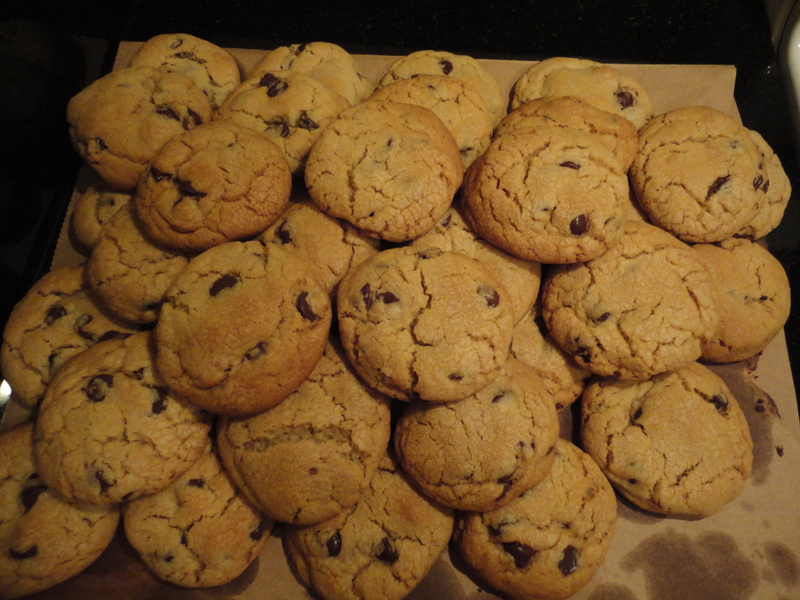 I decided to make a second batch the next night, and put the “cookies continue to bake” theory to the test. With every batch, I winced at taking them out too soon, yet resisted the urge to keep them in the oven for just one more minute. After precisely 12 minutes, I removed them from the oven while they were puffy, domed, beginning to brown, and still looking slightly under cooked. Then I diligently set the timer for another 5 minutes, letting the cookies continue to bake outside the oven. How often are we so elated after a spiritual experience that we proclaim with excitement, “I wish we could just stay here!” For some it is an enriching retreat weekend or a much needed vacation. I hear students say this after a life-changing service immersion trip or an unforgettable study abroad experience. It might be an encounter with an unbelievably beautiful sunset or the energizing runner’s high at the end of a long run. Like Peter, James, and John who witnessed Jesus’ transfiguration, we long to remain on the mountain top. We wish for the intensity of the moment to last forever. Yet despite the joy they bring or the insights we gain, we know that these dramatic experiences cannot be sustained for long. What appears to the untrained eye to be a bit “not long enough” is in fact the perfect amount of time. Those moments continue to bake to completion, and we appreciate their rich gooey goodness even more once they’re incorporated into our everyday lives. Every year I hear this from our students who return from our international service immersion trips. They spend weeks and months making sense of their time spent with the poor of Nicaragua or Haiti. It was Kelsey herself who offered this reflection just days after our cookie conversation! They wonder about the ways their lives have been changed. They see the impact it has on their world view. It makes a difference in the ways they see themselves, and their understanding of God. Their priorities shift, it may impact how they make decisions about life after college, and their lives continue to be transformed. The same could be said about an intense retreat experience. I continue to watch the graces unfold and reach back to some of the more profound moments in prayer from some of my more memorable retreats. Today, it strikes me that we could also use the cookie analogy with this great season of Lent. 40 days is certainly enough time to break old habits and start new patterns of living. In other ways, though, there is much that feels “slightly underdone”. Perhaps that is something to pay attention to as we enter into Holy Week. What work has God begun throughout this Lenten season, and what still needs to be brought to completion as we bask in the glow of Easter? Remember, the cookies will continue to bake even after you take them out of the oven! 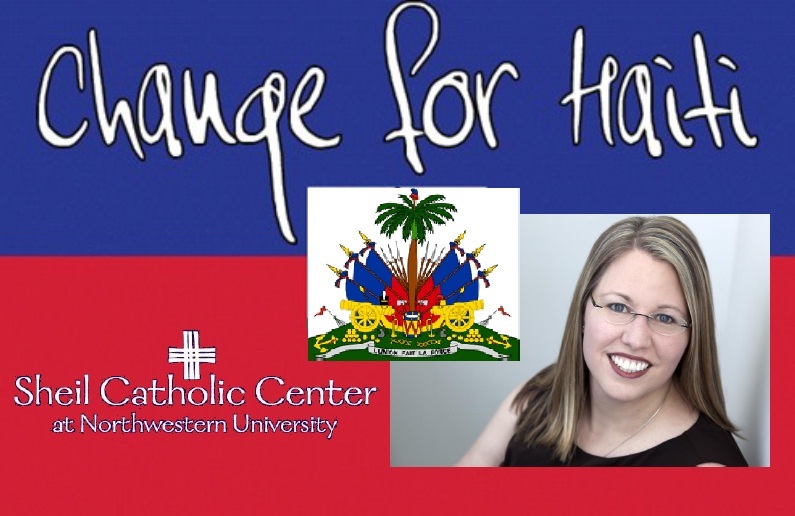 I will be posting some updates in the coming weeks about our mission to Haiti. This is the full text of the letter that I sent to our donors and support team. Thanks for your prayers and support! Dear Friends – A wise mentor once reminded me that when God asks us to follow him, we cannot put limits or restrictions on that call. We have to let go of everything. E.v.e.r.y.t.h.i.n.g. Those words landed with a thud in the pit of my stomach almost a year ago. I’ve had this itch to try something new for several years now, but I’ve not had a clear sense of what that’s all about. Some say I have a case of the “travel bug”. Others call it the prompting of the Holy Spirit. My spiritual director from the 30-day retreat said I have the heart of someone on pilgrimage – a traveler on the journey to a holy place. Whatever it is, I’ve known for a while (in that intuitive, spiritual sense of ‘knowing’) that God’s got something up his sleeve once again. Following him is not optional; it is the only way I know. 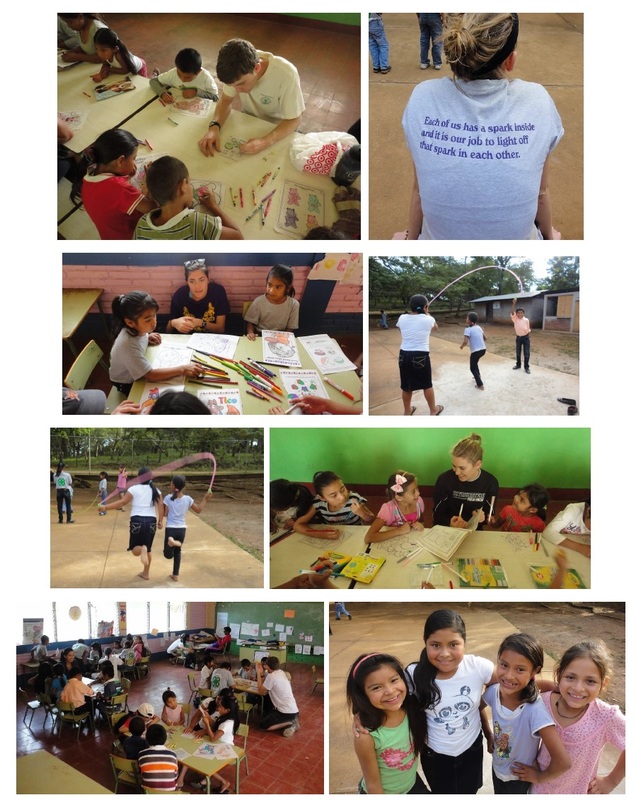 A year ago, I could not imagine myself NOT spending Winter Break in Nicaragua. If there is anything that I have held onto with great joy and a ferocious cling, it is the experience of leading student groups to Nicaragua. Letting go would not be easy, so God made it undeniably obvious. Several months ago, it looked like we would NOT be making our annual trip to Nicaragua. The Northwestern academic calendar ends “late” this year, and our partners in Nicaragua were hesitant about pushing our trip right into Christmas. As the prospect of not returning to Nicaragua became clear, I knew it was time to begin searching for something new. I don’t claim to have a crystal ball, but I sensed this was coming. I was disappointed, but not heart-broken. I am very committed to our work with Fabretto, but open to what else God has in store for us. Our student leaders engaged in a long, late-night brainstorming session. We agreed that an international trip over Winter Break was still our best option. We have many contacts across Central America and many initial signs pointed to Haiti. As the summer progressed, the Holy Spirit began working overtime on our behalf. My colleague Tim traveled to Haiti with his family many years ago, and one of his Haiti contacts happened to be in Chicago that very same week. We also have a campus ministry colleague at Eastern Illinois University who has been to Haiti many times, and he offered to let us tag along on their trip. I wasn’t completely sold on the idea of going to Haiti, but my heart was open. All signs pointed to Haiti – dates, details, and mission partners began falling into place. I felt a tremendous sense of openness and freedom that comes from trusting in the Holy Spirit. It became so evident to me that Haiti was the right choice, and I needed to do whatever God asked of me in order to make this trip to Haiti happen. Just as we were committing ourselves to Haiti, I received a visit from our contact at Fabretto. We talked again about the December dates, and much to my surprise, he asked if we would still be willing to come to Nicaragua. I think we can make this work, he said. Yes!! (But … we’re going to Haiti … I think?) I could not have been more thrilled to know that the Nicaragua trip was back on our schedule. With a heart wide open, our staff discussed the potential for two trips at the same time over Winter Break. The more we talked, the more we saw the endless possibilities for Sheil students to be of service to others around the world. And then the big question, how will we staff two trips at the same time? Leading the Nicaragua trip seemed like the logical choice for me. (I would fly to Nicaragua tomorrow if I knew that’s what God wanted!) But for whatever reason, my heart is set on some new, unknown adventure. We invited three experienced and enthusiastic students to serve as our Nicaragua leadership team. Meanwhile, my co-worker Tim and I are embarking to Haiti along with our colleague from Eastern Illinois University. People keep asking me, why are you going to Haiti? I’m going to Haiti because this is where God wants me this year. I don’t know what to expect, but I’ve been “here” before. I know what it is like to stand on the threshold of something new, unsure of where the road in front of me will lead, but absolutely certainty that God’s work is being done. There is a reason I need to go to Haiti this year, and I need your help in making this happen! First and foremost, I need your prayers. It is a privilege to serve God and God’s people, but there are many unknowns on this first time trip. I ask you to join me in prayer – for the courage to follow God’s plan every step of the way, for openness to new people and new experiences, and for the wisdom to discern what God is asking of us. We know that we will be visiting several parishes and communities, and working on some light construction. We are also hoping to make connections for future projects. Pray that those plans will fall into place. Although the Sheil Center generously covers the cost of staff, it is always my goal to fundraise my own expenses. There are 8 students and 2 staff from the Sheil Center traveling to Haiti, and a team of 13 students traveling to Nicaragua. As you know, many of our students request scholarship funds as well. Anything you can give would be greatly appreciated. I cannot wait to see what God has in store for us! I look forward to your prayers and to sharing the graces of this experience with you. Know that I hold you close in my prayers, too. Thank-you for being a partner in this important work. I am excited to announce that this little project, known up until now as The Single Life, is finished and in the capable hands of editors and marketing directors. 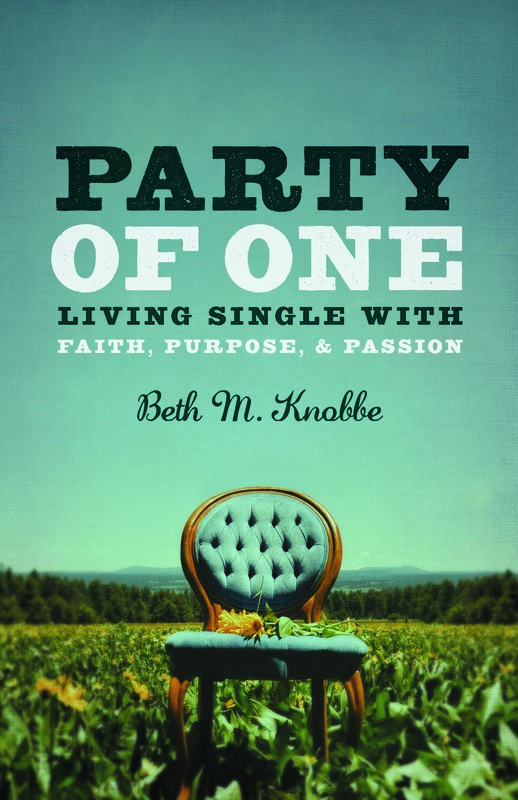 As of today, it also has a new title – Party of One: Living Single with Faith, Purpose, and Passion. Upon sharing the news, my mom replied “Awww… your book has a name!” It was a rather endearing comment. When we give anything a name, it takes on a new character. Furthermore, in the Christian tradition, changing one’s name often marks the beginning of a new identity. Abram becomes Abraham. Simon becomes Peter. Saul becomes Paul. Invariably, each year on our mission trip to Nicaragua, a number of our travel companions adopt a nickname – like my friend “Azulita” (little blue one) so aptly recognized by the blue streaks in her hair. Or my friend Abigail better know as the “Waimea Canyon Warrior Princess” after our hiking adventure into the grand canyon of Kauai. These experiences change us, and we spend the rest of our lives living forth from that experience or living into that newfound identity. So, this little book on how to enjoy being single has been given a new identity. As I’ve learned, books also have a strange way of taking on a life of their own! I’m excited to see where this new one leads, what kind of opportunities will come my way, and ready to hear the reflections that this book will open for those who read it. Thanks to so many of you who participated in a focus group, allowed me to interview you, contributed essays, passed the invitation along to a friend, and shared your single life stories with me in person or in writing. Someone recently asked, “What are you going to do now that it’s finished?” I quickly replied, “I’m done writing books (for the moment) and ready to start living what I wrote about.” For now it’s time to celebrate, and let the “Party (of One)” begin! Party of One: Living Single with Faith, Purpose, and Passion is scheduled for release in Fall 2011 by St. Anthony Messenger Press.